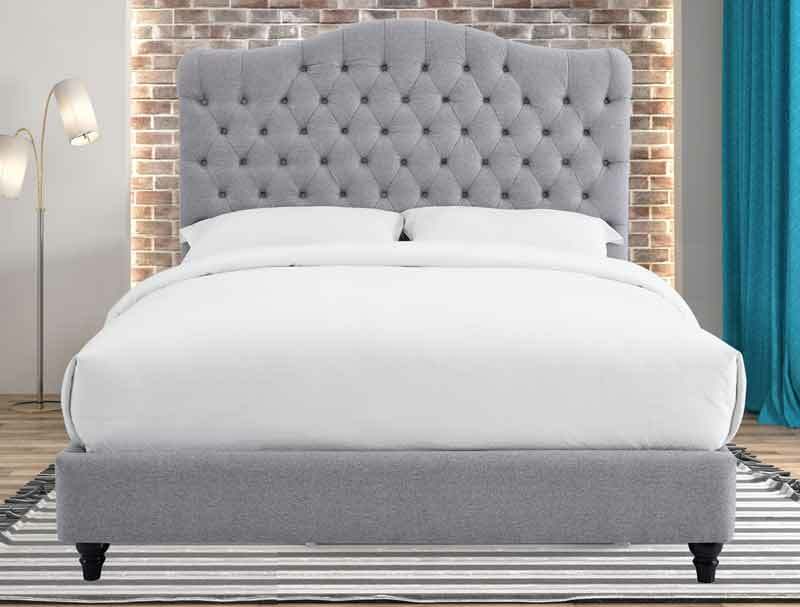 The Cole is new and offers a traditionally shaped headboard with multi buttoned detail and a low foot end in a lovely delicate twill grey soft polyester fabric. The Cole fabric bed frame is available in 3 sizes double, king and super king size and is delivered flat packed for home self-assembly with a sprung slatted base and a centre support rail. 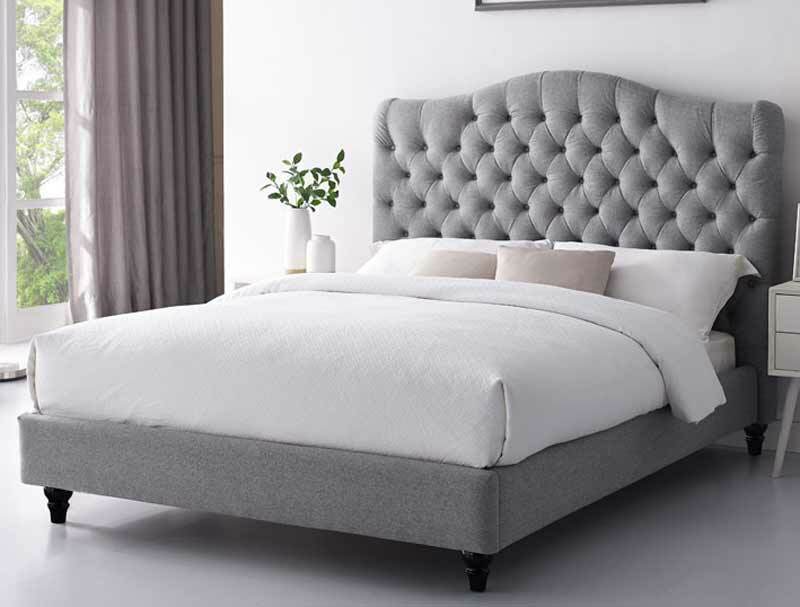 This bed frame will be delivered direct from Sweet Dreams via a courier in 5-7 days to most areas of England, Scotland and Wales free of charge. Please note some areas will incur a delivery charge, please see delivery info page and will take longer than 5-7 days.